https://nashville.bintheredumpthatusa.com/dumpster-rental-mt-juliet	Bin There Dump That Nashville	https://nashville.bintheredumpthatusa.com/img/franchisees/59.jpg	7913 TN-100, Nashville, TN	Contact us for more details. 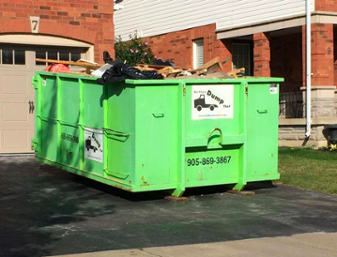 Discover how we make renting a dumpster in Mt. Juliet, TN a simple and easy process. Bin There Dump That is committed to making the dumpster rental process for the customer a seamless transaction, from placing an order for the needed dumpster size to delivery of the waste container in Mt. Juliet to an immediate pick up when you no longer need the bin on your driveway. Mt. Juliet is a city located in Wilson County and is the largest city within the county. One unique thing about Mt. Juliet is our name as it is the only U.S. with this name. Professional football player Levi Brown is from Mt. Juliet and some other notable people from Mt. Juliet to mention are, Ashley Clark. WNBA Professional basketball player, Don Ray, NBA professional basketball player, Bobby Hamilton & Chase Montgomery, both NASCAR drivers. Your local Dumpster Rental Mt. Juliet, TN dumpster rental operator is Joey Bossier.